7:30-9:30 - come and go as you can. Bring a chair, if desired. 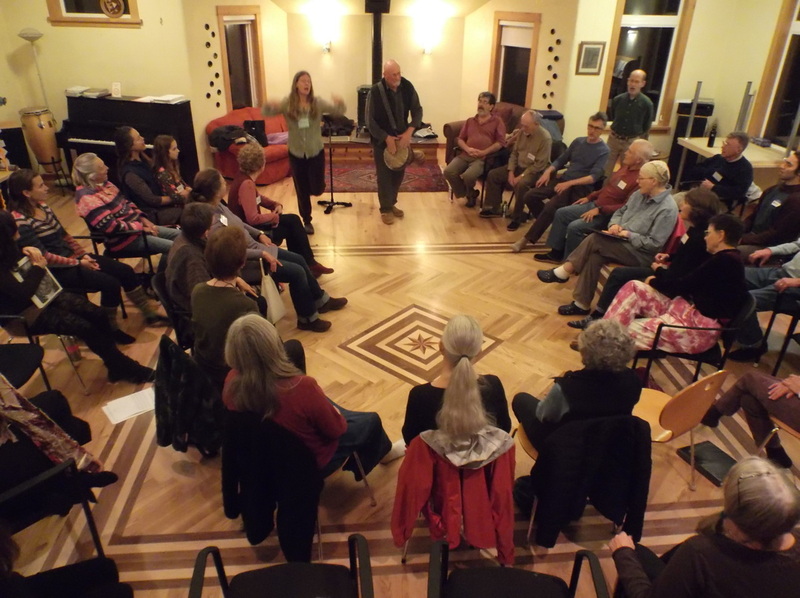 Come for a rejuvenating, connecting, and inspiring experience of group singing facilitated by Laurence Cole. No singing experience necessary, only a willingness to encounter the beauty of your own voice and join in harmony with the voices of others. In these times of transition and uncertainty, people are rediscovering the need for community in a new, more interdependent way. 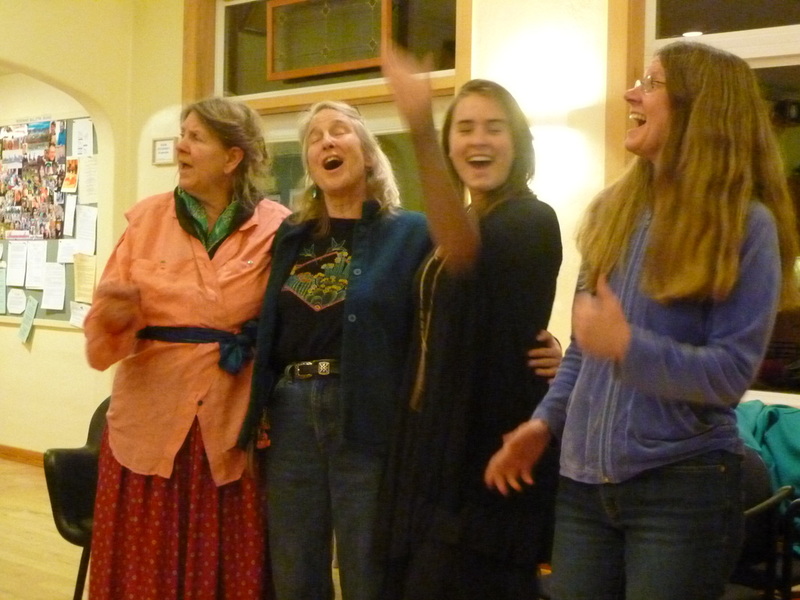 Group singing has been one of the most essential technologies of meaning and belonging since humans have gathered in cooperative bands together. There are some anthropologists who theorize that singing predates speech, and has been a primal way for humans to both communicate and “metabolize” emotion, helping us make it through whatever we’re going through in an enlivening way. 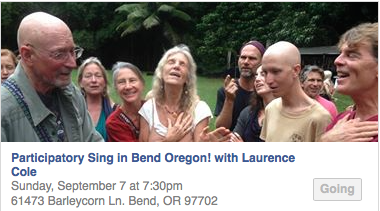 Laurence will offer a direct experience of the power and pleasure of such singing, which is quintessentially “low-tech”; no external power source or machinery required, just the equipment we were born with: our breath, our bodies, our voices, and our hearts. Laurence has been a lifelong student of indigenous traditions and modern processes for living simply and well in harmony with the Earth and each other. As he teaches the songs that spring from this background of experience, he enjoys relating in an extemporaneous manner the stories and teachings from all these explorations, as the spirit of the occasion may call forth. Traveling east on Reed Market Rd, go toward the construction (ignore the detours), turn right on 15th, right into Nottingham Square, left Barleycorn. – Green house with a red door. The neighbors all know about the event, so park anywhere on the streets.